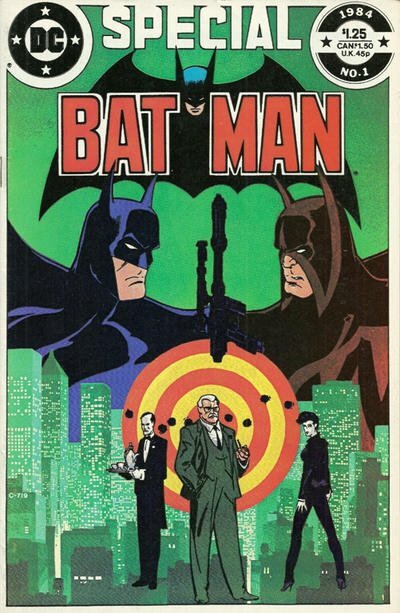 Click Here To See Batman Special #1 Comic Book! 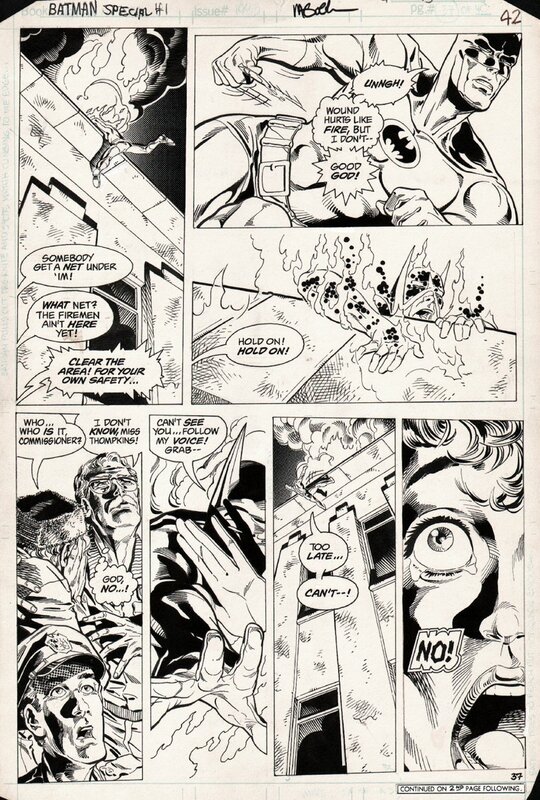 Check out this very nice 1984 Batman page which was penciled by Michael Golden, and inked by the under rated Mike DeCarlo, from the story titled: "...The Player on the Other Side!" This nice page features the CLIMACTIC end of the battle as Batman tries to save his evil twin...THE WRATH, as he is on fire and falls off the building to his DEATH! Just a GREAT Michael Golden Batman page!